What separates the industrial design art projects from the truly impactful products that resonate with customers? Good design starts with understanding the customer and is both influenced by and shapes the brand. At Trig, we get requests to help design “Apple-esque” products. The sentiment is great, but Apple is far more than a single technology package, product design, brand identity, or unique vision for transforming a market. Apple has a ridiculously loyal customer following that dates back to its founding unique promises made and promises kept. Brands are built by making a promise and keeping that promise. Repeatedly. Make a promise, keep a promise. Year after year. Eventually, customers build enough trust to allow you to make a new promise, expanding the brand into new territory as you keep the new promise. Over time, products and technologies come and go, but the customer trust survives so long as promises are kept. Along with Apple, the best brand promise examples come from big brands like McDonalds, Coke, UPS, Audi, and BMW, who have enjoyed their respective industry spotlights for decades. Failing to keep the brand promise is remarkably easy to do, creating missed opportunities at best, and the destruction of the brand’s equity at worst. Most recently, Volkswagen, has paid an enormous $15 billion price in the US alone for making a promise that it could cut diesel emissions, yet failed to keep their promise when the truth of their deception became public. Brand promises are betrayed in smaller, more subtle ways as well. The logo might be changed slightly to fit the whims of a document’s space constraints (this was a terminable offense at one company). The website copy and tone might not match the brand personality, creating confusion and delayed purchasing behavior for customers. Marketing might make public claims that the engineering and operations team simply can’t deliver. 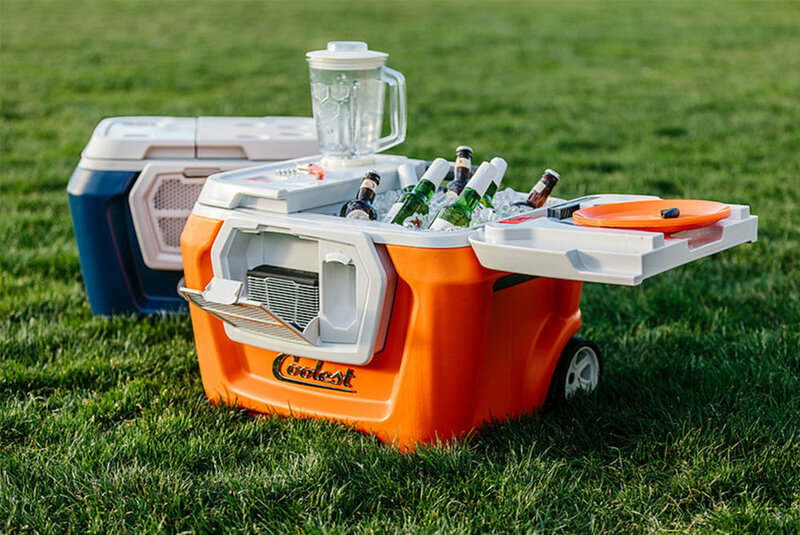 Thousands of Kickstarter backers still waiting on Coolest Cooler may have to wait another 3 years. Many a crowdfunding campaign has ended in disaster because an industrial design rendering and clever marketing campaign was used to sell pre-orders, yet the technology and supply chain to deliver on the promise are not yet in place, leading to lengthy delays. In today's customer experience marketplace, the industrial design skill set may be the most well-equipped of any corporate function to be the steward of a company's brand, but good design still serves the brand. Everyone in a company, from sales, marketing, operations, and finance is a part of the team that makes a brand promise, and keeps it.